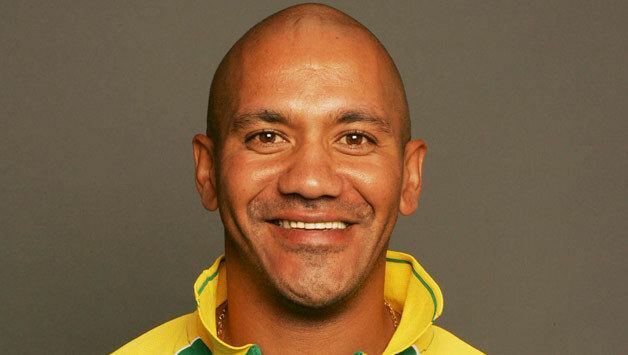 Roger Telemachus (born 27 March 1973 in Stellenbosch) is a former South African international cricketer. He has played 37 One Day Internationals and 3 Twenty20 Internationals for his country. Telemachus currently plays for the Gestetner Eagles. In the 2006 English summer, Telemachus had a largely unsuccessful stint playing for Hornchurch Cricket Club. In the famous 438-game played at the Wanderers on 12 March 2006, he got the wickets of two top Australian batsmen: Adam Gilchrist and Ricky Ponting, both caught in the field from his bowling. Telemachus was also involved in what is probably the most bizarre stoppage in the history of cricket, when 'calamari stopped play'. 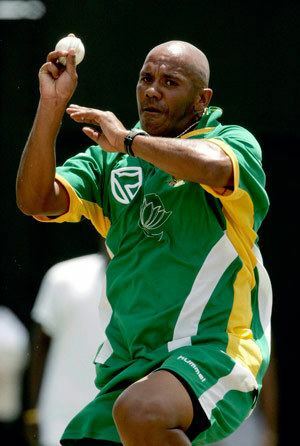 During a regional match in South Africa, Telemachus was bowling to Daryll Cullinan, who hit the ball for six, whereupon it ended up in the kitchen and straight into a pan of frying calamari. According to Wisden, "Daryll Cullinan hit a six into a frying pan. It was about ten minutes before the ball was cool enough for the umpires to remove the grease. Even then, the bowler was unable to grip the ball and it had to be replaced".